Sociallinkmart Review - Make money! Drive traffic! →Sociallinkmart Review – Make money! Drive traffic! Sociallinkmart Review – Make money! Drive traffic! In today’s Sociallinkmart Review, we will be looking at a platform that helps you get paid while posting updates on social media – Twitter, Google plus and Facebook likes and shares. For now, this is how far it goes and can help you generate enough money to pay your bills. Social media is a huge source of traffic but you need a platform that’s designed to purposely assist you get targeted visits to your site. That’s why SocialLinkMart is here. You know the sites – they sell huge amounts of cheap social links – such as 5,000 Facebook Likes for $20. A bit of common sense tells you it is impossible to get that many legit Likes. What you are buying can only be described as crap social links such as bot Facebook Likes. These junk social links may cause your Facebook Like count to go up, but that is the only thing you will get – forget about increased real traffic – and isn’t more traffic the end goal for any marketer? Another goal is to offer authority Social Media Enthusiasts a way to make money sharing great content with their followers. Signup to this platform and add your url to the directory. You can chose to make your url available to everyone or specific members by invitation only. This makes sure you keep close control over your campaigns and not waste money to non targeted tweets or shares. Sociallinkmart a great way to get huge traffic from social media. You normally may not have profiles with hundreds of thousands of followers. But this tool creates a platform for you to take your posts to the profiles and followers of others. The principle is simple – just add your entries and others will post to their followers giving you exposure to thousands more social media users. This image shows you a listing of providers or publishers. After having added your url, you will be able to go through this list to invite specific providers to publish and spread the word. If you have a social media account, simply do normal Facebook Shares, Facebook Likes, Twitter tweets, or Google+ shares of advertiser’s posts and articles and earn money with each share you do. If you think the content will provide value to your followers, share it and get paid for your effort. If not, move on and look at other advertiser content that might be worth sharing. The guys at sociallinkmart will manually review your social media accounts to determine your social media authority and assign an SLM score. The higher your SLM score, the greater your authority and the more money you make per social media share. This image shows a list of entries you just have to tweet, share on Facebook, Google plus to earn money. You can also use the category filter to pull out just what is targeted to your audience. 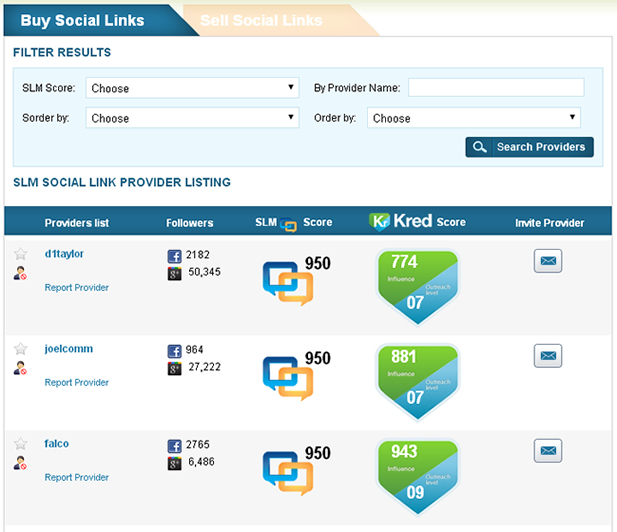 Sociallinkmart Review – How does it work? To use Social Link Mart to make money, you have to signup first and that’s free. Then, wait for your account to be approved.You will not need to add social media accounts to the system to function. This is because they have a Firefox toolbar that tracks your activities and credits your account. The toolbar is only available for Firefox browser. That means you cannot use the platform unless you have Firefox installed. You will need to download the toolbar from within your account, install it before being able to share entries to earn money. While on the paid listing page in your Social Link Mart account, just click an entry you would want to share and earn money. A new window (or new tab) will open. From the toolbar (as you can see in the image above) on the new window or tab, you will have the different icons or tools for sharing possibilities – Facebook share, Twitter, Google plus and Facebook like. However, active icons will only be social media sites for which the advertiser is ready to pay per action. In the case above, the advertiser is just going to pay for Twitter tweets. That’s why other icons are disabled. You notice in that image the tweet to be sent to your profile, the link and the number of characters. If you are ok with that, just go ahead and click ‘Send’ to earn the money. Does this really work? does it pay? I won’t have written this sociallinkmart review post if I had no practical and exciting experience. I discovered the tool in January of this year. Did some tweets and got paid $3.5. I thought hooo! maybe I should do something else. From the Paypal screen below, you notice I have been sent 3 payments after sharing some more posts. Though I have been so idea, I still got paid. For those of you who do affiliate marketing, signup, grab your affiliate links and share. You will earn interesting commissions. Some bloggers have contacted me asking how to do paid reviews. They have not done any before. The answer to that question is that you should do free reviews like this and use your affiliate links. That will give you some experience and reference. Don’t just sit and wait until someone hires you to do a paid review for $500. start practicing today. Create your free SocialLinkMart account today and start making money or pulling traffic to your sites. I mean Indiblogger do powerful Category sharing bro..
Wow! Great stuff, need to check this platform. It seems this platform is same as sponsored tweets but targeting other social networks too. You also have heard so many times that one of the biggest complain of many struggling bloggers is their temptation to stay at social media for a longer period of time. The only need to get approve their accounts at socialinkmart. I think if someone is doing social media actively he will easily get approval. So the new rule of money making is now Earn Money While Wasting Your Time At Social Media. lol it will be great thing to waste time and make money Mi. Are you going to give this a try too? It’s kind a new platform for me. I tried linkvehicle, Giveaway.ly and many other sites to make money via blogging and now I think I should give a try to it. Will straight away register on Social Link Mart. Ohh, That’s even better. Thanks for the info Enstine. Thanks for sharing this wonderful post, I have been seeing ads on twitter lately with information on how to make money by working on social network, maybe Sociallinkmart is the secret recipe, although most of the tweets redirects to a link that wants me to pay some money before I get into the know-how. Simple way to earn some money. Do they work with non-english websites? Seems really cool platform for improving the likes on social media profiles. I guess its something similar to Addmefast. Thank you dear for review….